We knew he was coming. He told us he would. You can check him out daily on your facebook, twiiter and instagram feeds. The Elf on the Shelf is back to delight the hearts’ of little ones everywhere and aggravate parents to no end. Problem 1: Where the heck is? What ingenious place is that d#**m Elf hiding? Problem 2: Why is there a girl Elf on the Shelf??!! And do I now need one? This Elf was starting to make me mad. He better show up and show up quickly. How many of us spent the first few days of December tearing the house apart to find his magical hiding place. Maybe he goes to Florida in his off-season? 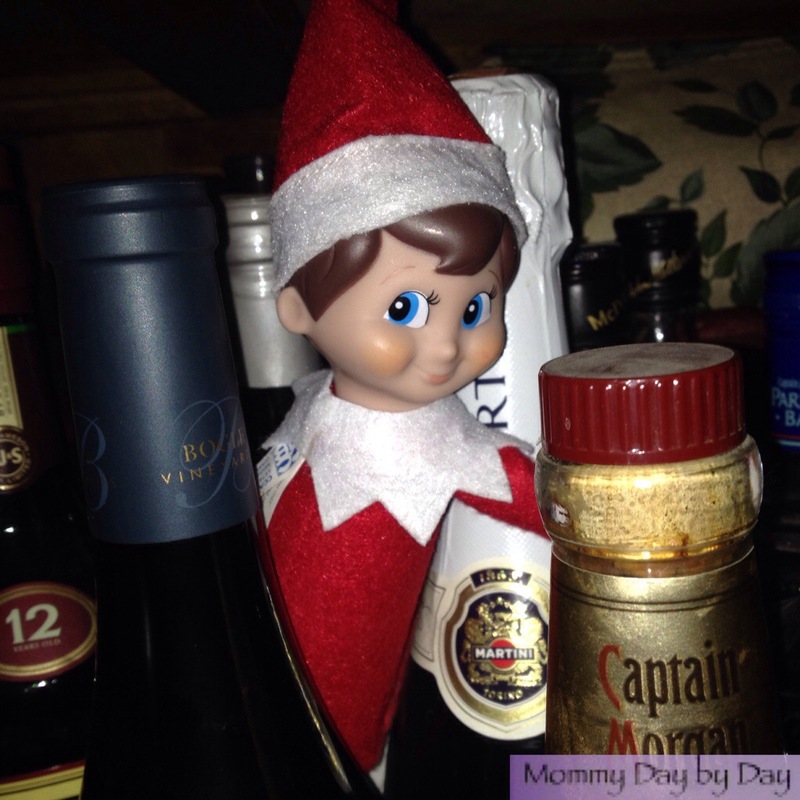 Apparently my Elf has an alcohol problem because I found him hiding in the liquor cabinet. I guess he has a little Captain in him. Of course he was only found after I had completely given up all hopes of finding him. In my desperation I had gone ahead contacted the North Pole and put in an order for a Girl Elf on the Shelf. Figures! Now that he has reappeared I am faced with the daily issue of making sure the Elf remembers to use his magic to move everyday. Like my Tooth Fairy my Elf on the Shelf sometimes is a slacker. And in case you don’t feel bad enough about yourself for sometimes falling asleep on the job, be sure to check out Pinterest. A place where moms can go to feel completely unworthy and unimaginative. You can check out all of the fabulous and super creative ways Elves have appeared at other people’s houses. Of course in the end the joy my daughter has every morning when she jumps out of bed to find her elf is totally priceless. I know, I know, so cliché but completely true. 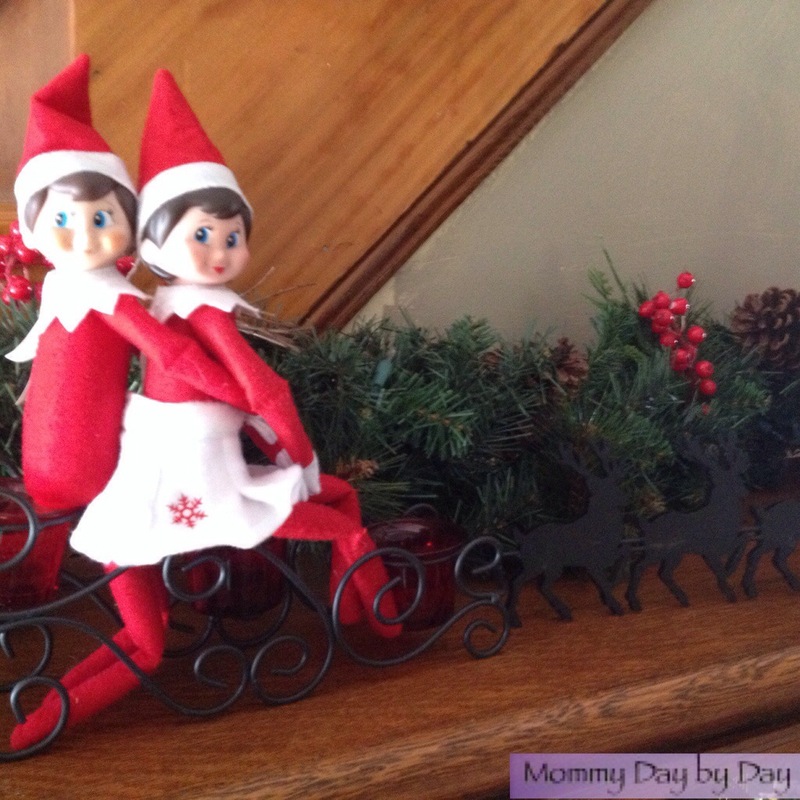 And now, lucky for our Elf on the Shelf, he has a girlfriend. We are all happy… at least until tonight when the madness starts all over again. 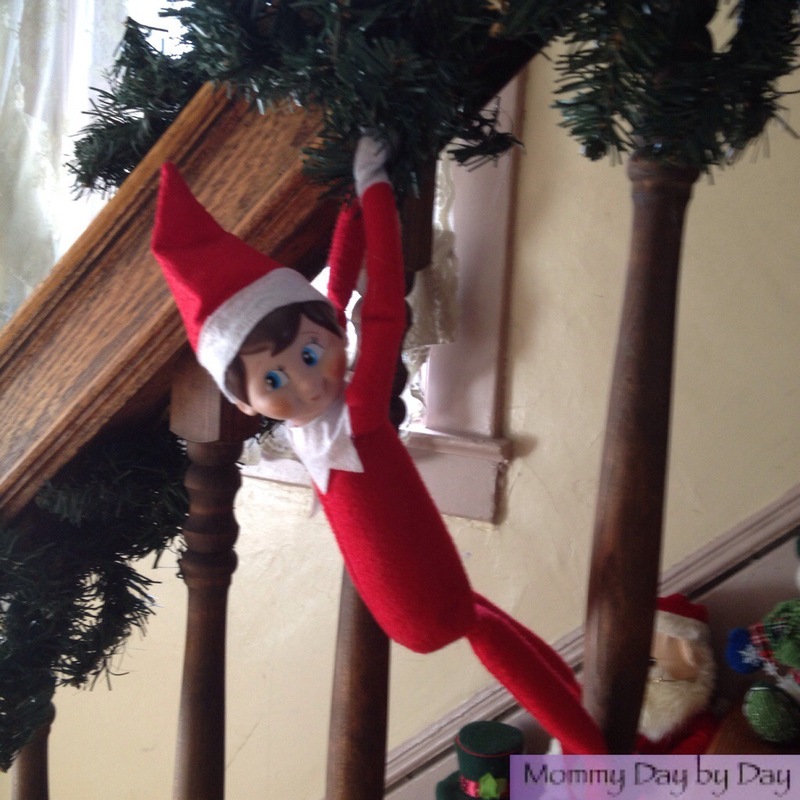 This entry was posted in Family, Holidays and tagged Christmas, Christmas and holiday season, Christmas traditions, Elf, Elf on the Shelf, Facebook, instagram, North Pole, Pinterest, Santa Claus, The Elf on the Shelf, traditions. Bookmark the permalink. 1 Response to He’s Baaaaack! Yes the dam elf is back. (sigh) Our elf tends to have favorite places in our house. He likes these places so much, he’ll return to the same one night after night. I mostly remember though. 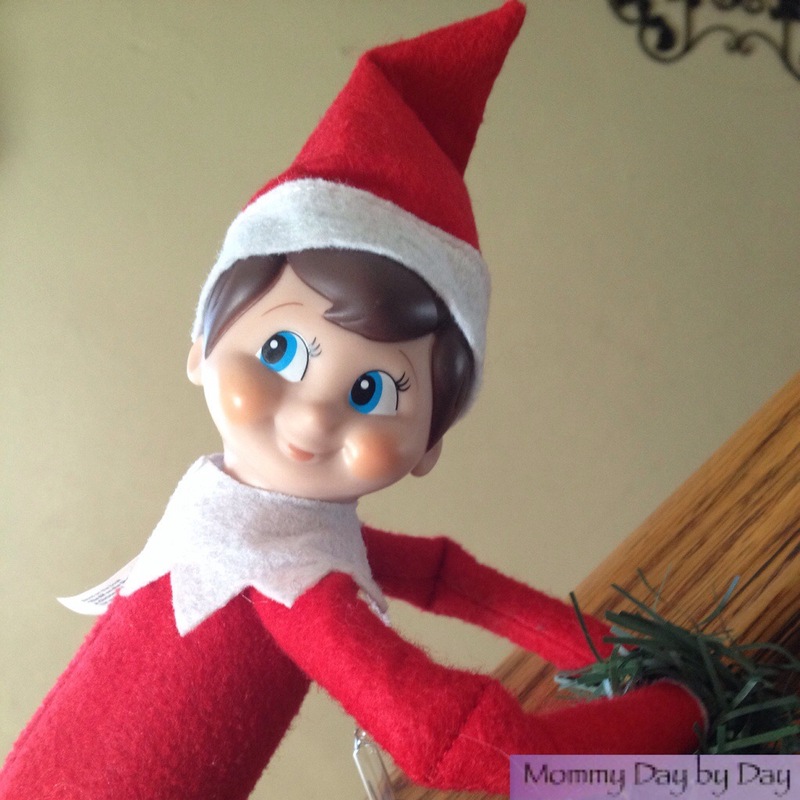 It amazes me how much time us mothers put into thinking about this elf, myself included. The other day our elf fell from the television. He was in the hospital for a few days and just returned last night!! I too agree, having them freak out in the morning makes it all worth it!! Enjoyed your post!! !